Sharing another piece of LP Doo, Wat Saket popular phra phrom. 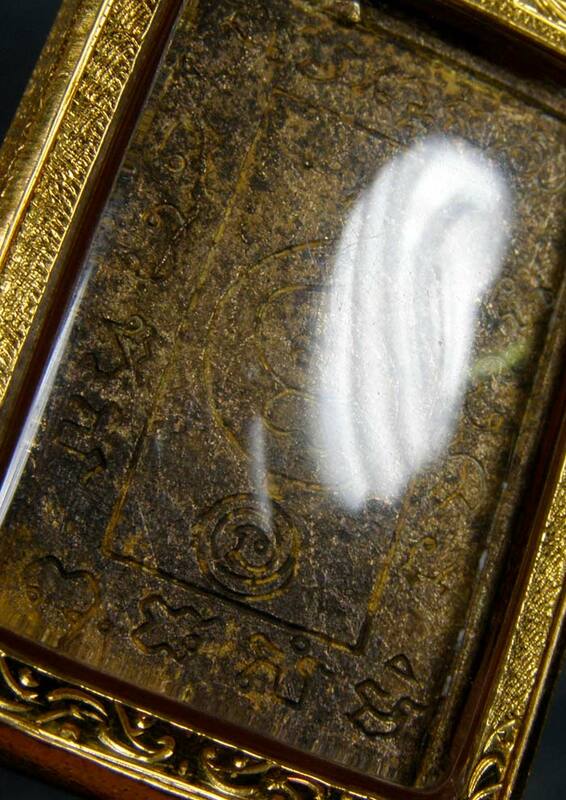 LP Doo is from the lineage of AC Heng and LP Si that made the most expensive phra phrom in Thailand. The ngern metal stamp cost 100,000 thai baht. 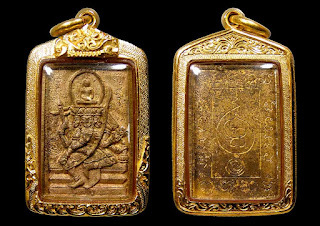 This phra phrom made by lp doo, in 2522 is of top condition. With jarn written by lp doo clearly seen on surface of the back of amulet. Not all metal phra phrom have "mee" code on the side. without code it costs only 15000 baht. but this one has code. No code one are not made by lp Doo. But other temple pass to him for giving to devotees. For nur pasom, the more yellow it is, means more brass and thus it will be more expensive. if more red, means more copper. thus price lower. if copper only, price only 25000 baht.Total phra phrom metal made 10,000 pieces. there are copper, mix (nur pasom) and brass. Copper cheaper and brass most expensive. This piece was wrapped with nice, thick gold. The gold case was made from famous goldshop in Supanburi (Boonlert); well known for workmanship and gold quality.